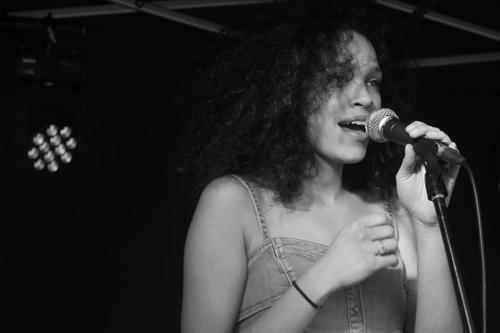 Izzy Bizu is an 19-year-old singer songwriter hailing from South West London. Born to an Ethiopian Mother and English Father she grew up listening to Ella Fitzgerald, Betty Swan, Betty Wright and James Brown and draws on these alongside newer influences, Amy Winehouse and Adele to create a fusion of soul, funk, jazz and pop that sounds classic and brand spanking new all at once. She performed at the ILUVLIVE Open Mic in February 2013 winning over the crowd, which included Emeli Sande and Naughty Boy Needless to say she won, and performed at the following months ILUVLIVE to another rapturous response.Since then she has gained enormous interest from music industry heavyweights and is fast becoming one of the most hotly anticipated acts of 2013.